The proactive identification of risk is part of initiating any PRINCE2 project. This starts with the creation of a thorough Project Charter. This contains the project’s vision, scope and deliverables in as full detail as possible. This level of project planning ensures teams can identify any associated risks. Thus, to launch a project is to show an awareness of risk from the beginning, and the intent to handle it. PRINCE2 helps gauge the impact of risk beyond a project’s schedule or budget. A PRINCE2 project always contains a 'business case', justifying its importance and viability. Any threats to the project will thus impact the business's long terms goals. How will lost expenses be recovered? Who stands to suffer without the project deliverables? Stakeholders will want to know the full implications of any serious risk. The first step to PRINCE2 risk management is to find the cause of risk. After this, managers must identify the circumstances through which the risk will occur. These are known as ‘risk events.’ The former can be described as the ‘how’ of risk, whereas the latter is the ‘where/when’. When you know what these are, you can predict the risk's impact with greater accuracy. 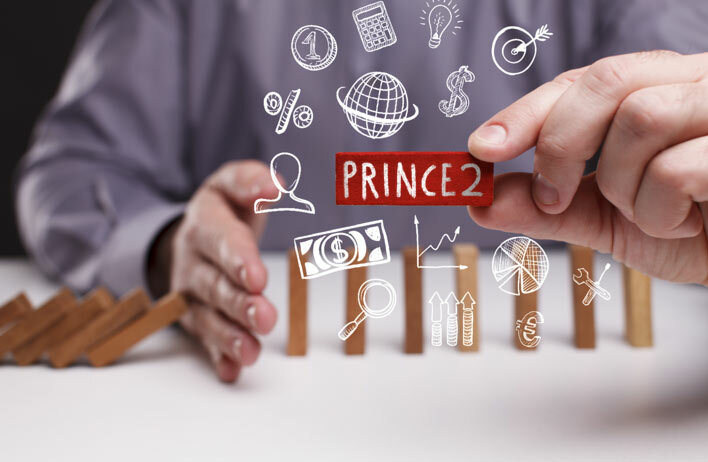 PRINCE2 offers two metrics to assess risks: probability and impact. Risks that have a low impact to a project, no matter how likely they are to occur, can as a general rule be accepted. In comparison, high impact, high probability risks can be proactively managed, or escalated to the project board. Avoid – Remove the risk at the source by adjusting the project itself. Reduce – Work to minimise the impact of an unavoidable risk. Transfer – Transfer the impact of a risk to third party. This usually falls under contractual obligations. Accept – Take no action as the risk has low to zero impact or it is completely unavoidable. Too many companies have a reactive approach to risk. This ‘fire-fighting’ attitude only puts project teams in a state of chaos. PRINCE2 enables teams to identify risks early, before the consequences become irreparable. This is a highly valuable skill in the eyes of potential employers. Our PRINCE2® Foundation courses start from just £315.